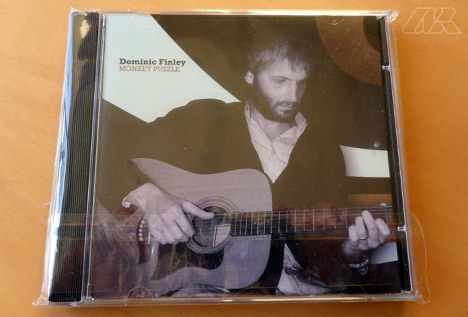 For the last decade and a half Dominic Finley has successfully adapted to various different styles of music. 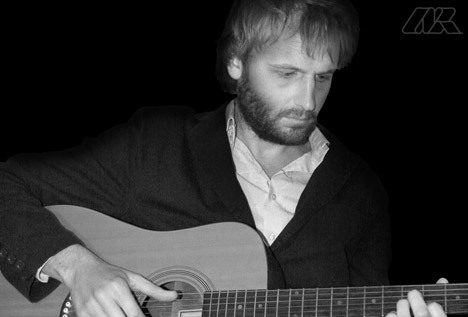 He has moved though Brit-pop, Motown and jazz, to more recently doing session work and playing progressive rock with Combination Head and classic pop-rock with the recently reformed Cutting Crew. This was one of those rare projects where I had total artistic freedom over the design. Before I started the design, I asked Dominic to answer a series of questions pertaining to the design and specifications (my online CD Design quote form is available on my site here). ◥ The only thing that was absolutely specified was the use of a photo of Dominic on the front cover—in some way, shape or form. Another aspect of the design was for it to have an earthy feel, and to be aimed at people 30+ years. I had a very basic idea in-mind for the CD Sleeve design. As always, I sketched a rough plan of my intended illustration. 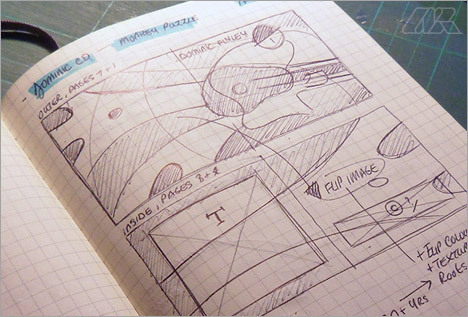 Nowadays, I use a Moleskine® Notebook to collate my thoughts and ideas. ◥ As can be seen in the image above, I only required a very rough sketch of what I had envisaged, as the next step was to create some vectors in Illustrator® on my Mac. The actual specification for the CD was a 4-page colour booklet, Tray Card + CD Print. What is the design concept? Well, after I listened to some sample music from Dominic’s site, I settled on an organic-looking, earthy formation that was both visually-appealing and suited the style of music it represented. This kind of job is, in essence, illustration. There are “no rules” to artistic interpretation, so I just designed what I saw in my mind when I listened to the music. ◥ This is the vector I created in Adobe Illustrator®. 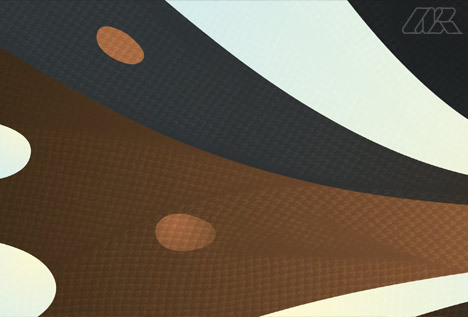 ◥ I wanted the vector to be textured, so I downloaded a couple of free images from Fudge Graphics, authored by Franz Jeitz. 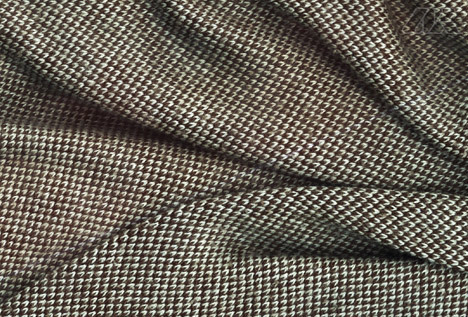 Most of the time, I pay for stock images from sites like Dreamstime, however, with great designers such as Franz around, there are many high-resolution textures on the web—free for commercial use— and also downloadable for free, too. ◥ This is how the main images I used on the CD Sleeve started to shape-up using textures. 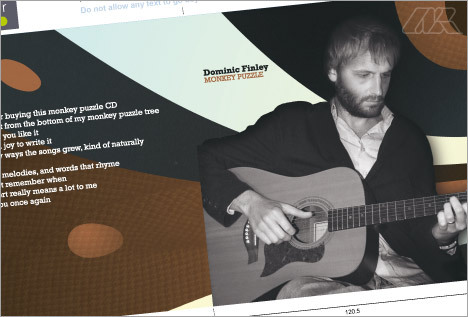 ◥ The image above shows pages 4 & 1 of the CD booklet from the final PDF I supplied. ◥ This was the tray Card PDF (I’ve left the guides visible here for illustration only). 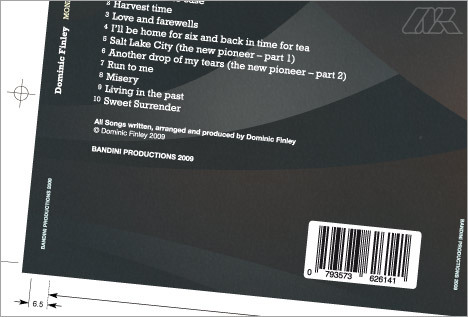 As can be seen, the CD was inclusive of a professional barcode. Even though these CD prints were to be printed in Digital, I only used flat black in the actual barcode .eps to ensure a sharp-print on the black lines. ◥ After I finished the design work I sent off some PDF proofs to Dominic. For a more in-depth look at the type of proofs I supply to my clients, please refer to my article Total Design Process for Edit Websites. 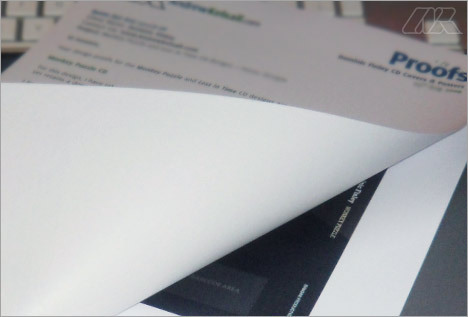 ◥ The prints were printed on a Digital Press, which is a suitable choice for small print runs. 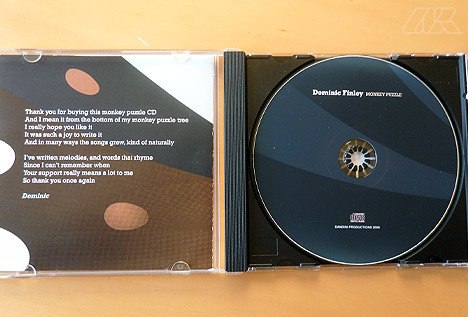 ◥ The CD comprised of a Clear Jewel Case with a Black CD Tray. 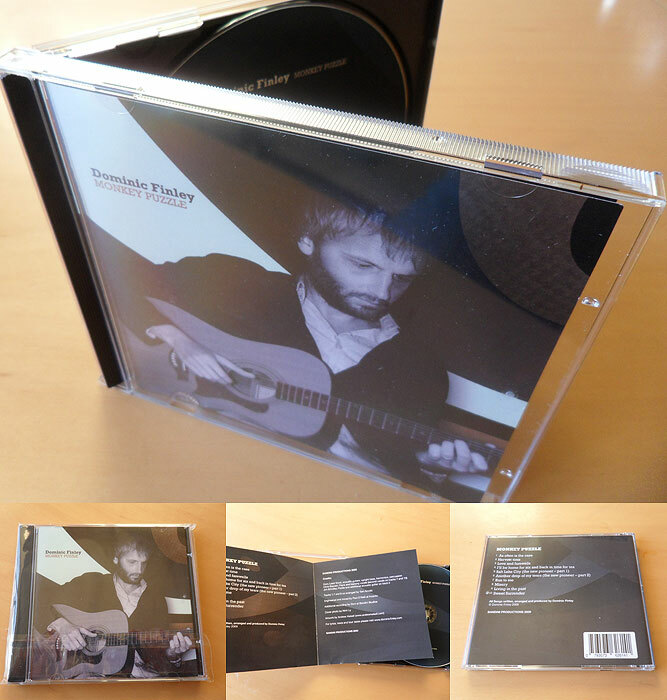 ◥ The actual “CD print” was produced digitally too. 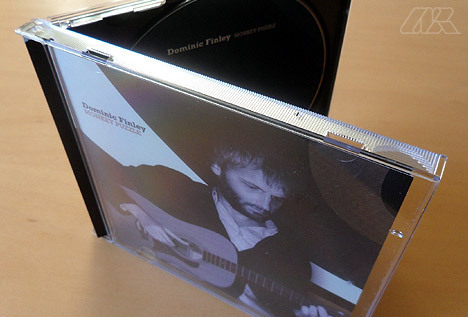 For larger print runs, CD’s are normally printed using a Litho or screen process. 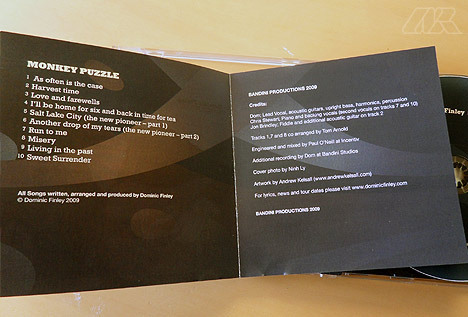 ◥ The inside of the 4-Page Booklet shows the track-list, credits and production information (I get a mention, too—thanks to Dom!). 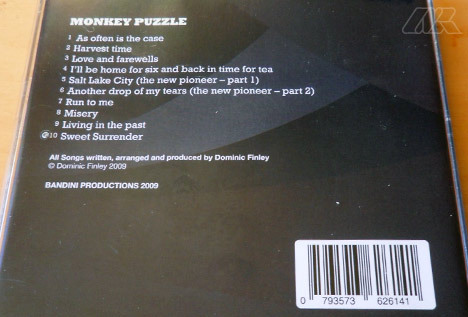 ◥ The back of the 4-Page Booklet is visible on the inside of the Jewel Case. 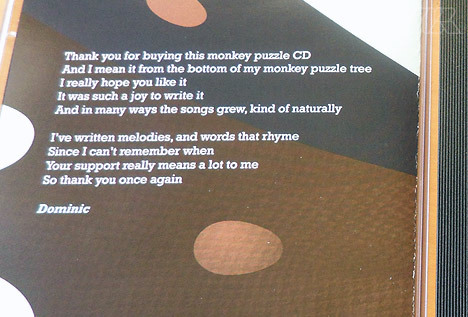 As can be seen, there is a thank-you message from Dominic [t0 the listener]. 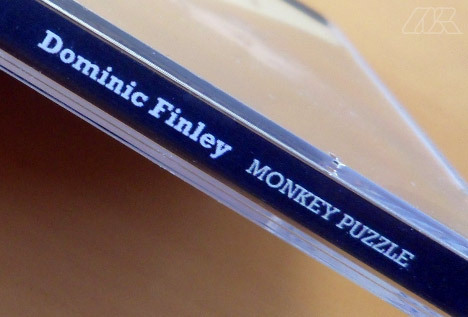 ◥ A big headache that can be caused when designing CDs is getting the placement of the Spine Text just right. Even if the text is placed in perfect position on the template, the actual tray print is still subject the guiletines. However, a good print-house should always do a good job when it comes to perforating the Spine “creases” in the right place. ◥ The only gripe that I have is that the reflectiveness of the Jewel Case makes the print look a little darker than it should. I’ll remember this next time I design a dark-blue CD. This was a great project to work on. I didn’t have a massive budget to work with, however the project worked out well—and Dom really liked the design. I think that his music is great, and this design has the potential to let his music flourish in physical sales and online, too. I’ve included another one of his tracks below named “Misery”. ★★★★★ If you liked this post, then check out How to Design a CD Album for a Local Band. Great post Andrew. I really like how in depth you go on your articles and you give plenty of good links out to your other resources you offer. I like the choice of colors you used for the vector graphic. It blends together nicely with the b/w photograph. .-= Kyle Steed´s last blog ..New Friends On The Block =-.